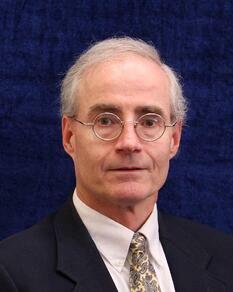 Dr. Robert Spinney teaches American history courses at Patrick Henry College. He also teaches the college’s Historiography course, which is a semester-long examination of what it means to do history from a Christian perspective. The textbook that is currently being used in PHC’s freshman-level American History course was written by Dr. Spinney. He has published two additional history books (a comprehensive history of Chicago and a history of 1935-1950 Nashville, Tennessee) and numerous ministry-related booklets with titles like Did God Create Sports Also? Thinking Christianly About Sports, Peeking Into the Devil’s Playbook: Satan’s Strategies for Tempting Christians to Sin, and Why Do Bad Things Happen to Good People? Thinking Biblically About the Problem of Sin in Our World. In addition to serving as a pastor for six years, Dr. Spinney was formerly a member of the faculty at Trinity International University (Deerfield, IL).